It has been a long offseason for Florida Gators head basketball coach Billy Donovan. In addition to serving as a court coach for USA Basketball, traveling across the country recruiting some of the nation’s best high school players and preparing for the 2011-12 season, Donovan had to hire four new staff members including three assistant coaches. “The only guy that liked me half way decent was our trainer [Dave Werner]. That’s because I take him fishing a lot,” Donovan joked during Florida basketball’s media day on Wednesday. “In hiring, there [were] a couple things that were concerns for me. One, I felt like I needed some familiarity. People around me that knew me, knew Florida, knew the way we were going to do things here. It can be very time consuming when you have to train three new people. When I say ‘train,’ I’m not talking about coaching train them, but terminology on the court, how you go about recruiting, dealing with players, individual workouts, breaking down tape, scouting reports. All those things are things that need to be taught because it’s their first time doing it this way, not the first time in their career. Donovan first reached out to an old friend and a familiar face for fans of Gators basketball. 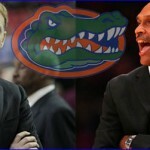 John Pelphrey, fresh off being fired by the Arkansas Razorbacks following five years as the team’s head coach, decided to return to Gainesville, FL where he was an assistant under Donovan from 1996-2002. Next up was hiring another experienced assistant. Though there was no direct connection to Donovan, former St. John’s Red Storm head coach Norm Roberts became a top candidate. Like Donovan, Roberts is a native New Yorker, and the two had crossed paths as players and on the recruiting circuit. Roberts had been out of work for a year after being released by St. John’s in 2010. Rounding out the staff is former University of Florida director of basketball operations Matt McCall. Also serving as a team manager, head manager and graduate assistant during the seven years he worked under Donovan (2004-08), McCall left the program to become an assistant coach with the Florida Atlantic Owls under head coach Mike Jarvis. He is now back in a coaching role and with a lot more responsibilities. “I don’t think it’s any different than when I was hired by Coach [Rick] Pitino at 24 years old at Kentucky. I started off as an administrative assistant and worked my way up and within 2-3 years was on the road recruiting at 25-26 years old. Matt’s been with me for a long period of time. He’s been involved. He was like an administrative assistant here,” Donovan said of hiring such a young assistant. “He learned an awful lot at FAU. He had a lot to do with the players that were brought in there along with their staff. They won the league this past year. It’s one of those things when you know somebody as a person, someone that you’ve worked with and someone you’ve been around, it makes it a little bit easier. I don’t think there’s any question that he will do a terrific job for us and is more than ready to handle [it] because he knows exactly what’s going on. Donovan is not only thrilled about the character and talent of his new assistants but also how well they are already meshing both on- and off-the-court. 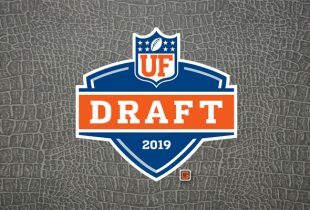 “It’s great to see those guys work together because you have Norm and John who have obviously recruited at a high level for a long time, and you have Matt who has been here and around and has watched us at Florida try to recruit like that,” he said. “Now you’ve got Matt’s energy and enthusiasm recruiting with the experience of Norm and John. The staff, the way it’s mixing and matching, is very good. The hiring process was not over for Donovan after Pelphrey, Roberts and McCall were in the fold. Strength and conditioning coach Matt Herring also decided to leave the program to become the director of athletic performance with the San Antonio Spurs of the NBA. Donovan replaced him by hiring Preston Greene, who had spent his last three years as the assistant strength and conditioning coach with the Clemson Tigers. If Florida’s chemistry on the court can be built the way its coaches have formed relationships off the court, the Gators have a lot to look forward to this season. Thankfully Donovan is a Gator – he is in my opinion the top coach we have ever had at Florida in all sports. It would be hard to argue that he isn’t. This is an incredible staff, second to none. I dont think there is any other team in college that can boast this experience, quaality or just good people as we have now. i hope it translates into recruiting and wins, because this is an incredible combination of personalities and experience. Agreed. Picking up two former head coaches, especially Pelphrey, was a huge get. I can’t imagine Pelphrey staying that long as I expect him to get some head coaching offers, but I think we’ll be happy with the time he does spend here. Also, I have to second the comments above about how great a coach Donovan is, and I’m very thankful he is a Gator.